More details have emerged about Project Dragonfly, the Google project to re-enter the market in China by complying with the Chinese Communist Party’s (CCP) draconian online censorship regime. And they don’t make for pretty reading. Google, whose motto until very recently was ‘Don’t Be Evil’, withdrew from China back in 2010. But now that evil is very much back on the cards, they are keen to get back in there again. 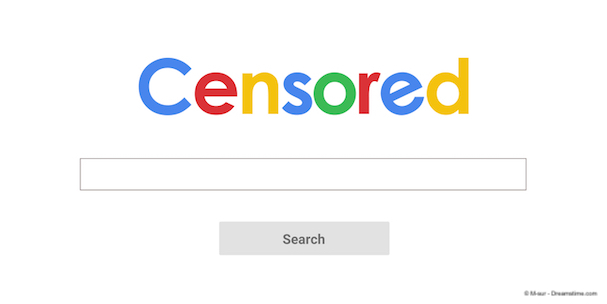 As we have reported previously, Google has developed top-secret plans to develop a search engine which would be in compliance with the demands of the world’s biggest authoritarian regime. Needless to say, those top-secret plans were leaked and led to hugely damaging headlines around the world. They were also met with almost universal condemnation from politicians, human rights advocates, and even Google’s own employees. Google’s response so far has been to bury its head firmly in the sand and refuse to comment on the issue. But being in denial hasn’t stopped the pressure on them from continuing to grow. Inevitably, further details have now leaked and a new report published in The Intercept has shown in more detail how ‘Project Dragonfly will not only comply with the CCPs online censorship demands but also help the regime to carry out surveillance on their own people too. The report explains that the prototype Dragonfly app for Android will link people’s online searches to their personal phone numbers. This means that it will extremely simple for CCP officials to associate people’s online search details with them and so make online tracking and monitoring of internet use much more straightforward. The new leaks also revealed that, rather than provide users with accurate information about weather and air pollution across China, Dragonfly will instead only provide data from an unnamed source based in Beijing. This effectively means that the CCP will be deciding what the weather is like and how much smog there is, regardless of how things look out of your window. These latest revelations have seen even more pressure being piled on Google to abandon the ill-thought-through Dragonfly project altogether. A Reuters report at the end of last week revealed that a bipartisan group of 16 US lawmakers have written to Google demanding that the company confirm whether or not it is planning to re-enter the Chinese market. Google is also slated to testify before a Senate Committee on September 26th and given the bipartisan condemnation they have incurred on this matter, they can no doubt look forward to some tricky questions there too. Meanwhile, a senior Google research scientist, Jack Poulson, has become the latest of a handful of staff to have resigned from the company over their China plans. He said he felt Google was not honouring its commitment to human rights and refused to confirm to him where they would draw a line on compliance with the CCP. These resignations come alongside a letter written to senior Google officials and signed by thousands of staff members asking the company to come clean and condemning any plans to be complicit with the Communist regime in China. If Google does opt to go ahead and launch a censored search engine in China, especially one which also helps with online surveillance and the dissemination of faked CCP information on things like air pollution, it will be a de-facto endorsement of China’s appalling internet regime by the world’s biggest online company. It should not be forgotten that China ranks as the worst country on earth in the Freedom on the Net index and people in China who are caught breaking the countries online laws are frequently arrested, detained, tortured, and jailed. Others disappear altogether and are presumed killed or in long-term detention. It is still possible to access a free internet in China by using a VPN. But China has recently passed laws to try and ban VPNs and some providers are inaccessible behind the Great Firewall. Our advice if you want to use Google in China is not to turn to any Dragonfly app that makes it onto the marketplace, but rather sign up with one of the VPNs that do work in China and access the real Google search engine. Or even better, use a VPN to access a privacy-friendly search engine like DuckDuckGo instead.